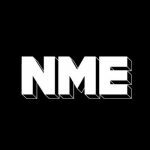 Every night on NME Radio you can join me, Chris Martin, for a whole stack of alternative classics and brand new tracks. Occasionally I persuade some of my favourite bands to chat – past guests have included Animal Collective, The Chapman Family and La Roux. My Album Of The Week this week is Future Of The Left’s ‘Travels With Myself And Another’: brutal slabs of chugging bass, simple yet thunderous drums, topped with frontman Falko’s decidedly odd yet brilliant lyrics. I decided to get Falko on the phone. Bands are always subject to scurrilous, scandalous and downright untrue stories. Falko told me the best one he’d heard was about his old band Mclusky. Someone suggested that an attempt by rival record companies to persuade the band to sign in Japan culminated in a hotel room filled with girls to do the persuading. Totally untrue. We also discussed the fact the album had leaked nearly two months ahead and he seemed philosophical, saying “It’s human nature to take what’s in front of you” – but that doesn’t always translate into record sales, gig tickets or T-shirts sold. Check out the FOTL Myspace for Falko’s excellent blog on the subject. On the show I try and get through as many messages as I can (incidentally comment below if you want to leave a message). Flicking through the Twitter messages before the interview, I found Pulled Apart By Horses man James Brown had messaged the NME Radio studio to say he was still waiting for a meal from Falko to fatten him up. I put this to Falko and, after discussing the fact that they are probably the skinniest band on earth, his response was to suggest they should spend less time twittering and more time finding a reliable tour van (a slight dig at their recent non-attendance of a support slot in Middlesbrough). Still, he suggested sound advice to the promoters of the UK suggesting that PABH need less drink in their riders and more by way of carbohydrates and protein. Catch these guys on NME Radio and join me weekday nights 7-11pm and Sunday afternoon from midday. Listen online, on DAB in London, or through Sky channel 0184, Virgin Media 975 and Freesat 727.